What's the first thing you see when you walk in to the doors of Northern Cochise Community Hospital (NCCH)? The smiling faces of our admissions staff and Auxiliary Volunteers! They will help you with directions, and assist you as you begin the patient registration process. 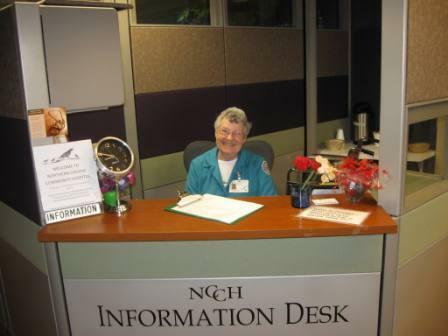 Whether you're coming to visit a patient for the first time; checking in for an outpatient procedure, or as an inpatient, our auxiliary volunteers and admissions staff will get you started on the right path! At NCCH, we encourage patients to play a vital role in their care. Please ask us questions if you are not clear on the care being provided. If it is an emergency, our experienced nurse practitioners, physicians, nurses and ancillary staff in our 24-hour emergency department are there to assist you. Advance Directive (Living Will) and Durable Power of Attorney, if you have one. Coloring books, crayons, books, etc. Patients are encouraged to send home all money and valuables with a relative or friend. Northern Cochise Community Hospital is neither responsible nor liable for loss or damage to personal belongings. 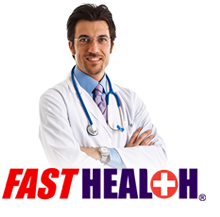 Every patient has his/her own phone and direct dial phone number. The direct dial number is located on top of each phone. Each patient bed is equipped with a television. Television is provided and includes local Tucson and additional cable channels 2-30 and 97. Employees are prohibited from accepting tips and gifts of significant value. We ask instead that your gratitude is expressed in a letter to the staff, recommending our services to your friends, or making a donation to the Foundation.